The Anton/Bauer NP-F976 7.2V, 6600mAh L-Series Li-Ion Battery is 47Wh battery in a compact form factor. It is compatible with most cameras that power via L-series batteries, and can also power 7.2V accessories such as monitors and lights. It can be charged using the Anton/Bauer L-series single- or dual-position charger. Box Dimensions (LxWxH) 3.1 x 2.5 x 1.7"
NP-F976 7.2V, 6600mAh L-Series Li-Ion Battery (47Wh) is rated 4.2 out of 5 by 34. Rated 4 out of 5 by Zukerman from Would recommend but, with a but.. I'm using these for my on camera monitor the Shogun Flame that serves as a monitor and recorder. I did a test as soon as I received these with monitor and recording both at the same time. The monitor holds two batteries and automatically switches over to the fresh one at about 90% draw down so at about 1hr 50mins the switch over happened. So we can round it up and say the batteries brand new gave me almost 2 hrs run time. I was hoping for more than that but I'm used to being somewhat disappointed in Anton Bauer battery performance over the years and just haven't switched over to the cheaper China knock offs. That's all I can offer for now on these batts. As they get older and recycled more perhaps I'll add an update. Rated 5 out of 5 by Casmirri from So far so good These act like batteries so far. They seem to hang in there for as long as any other non-Sony batteries I have tried. Of course, they do not talk to the Sony charger the same way the Sony Info-Lithium batteries do, so it's more just charging without seeing any real status. I use them with Dracast lights, and they have lasted through 3-hour shoots (2 on one light fixture). Of course, the Dracast lights don't need or use the Info-Lithium features anyway. 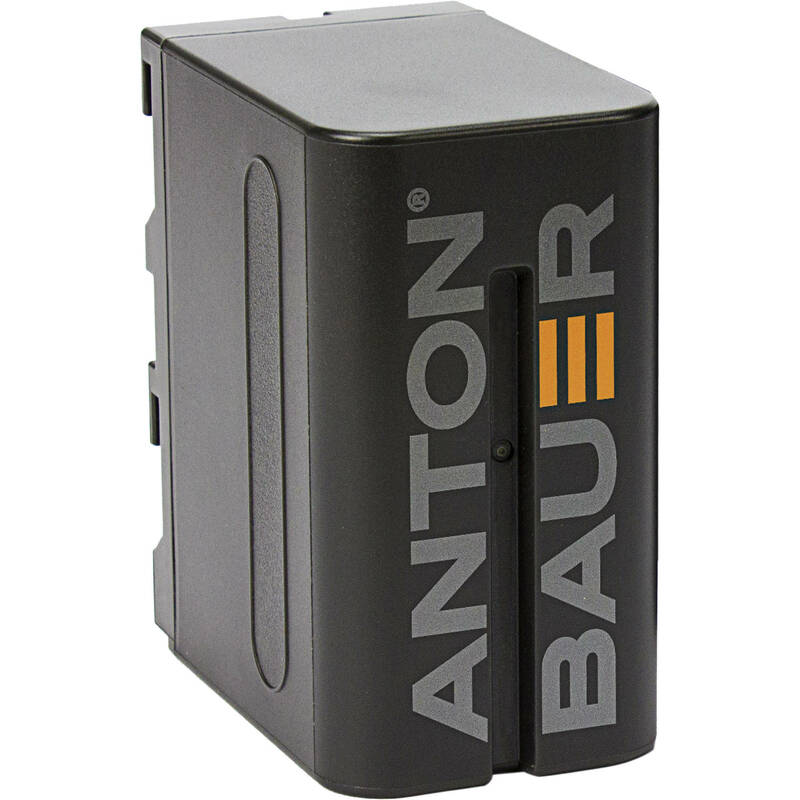 Did Anton Bauer just buy up some Chinese batteries and stamp their name on them? Probably, but so far so good. The true test will be about a year from now. I'll try to remember to keep you posted. Rated 5 out of 5 by Patrick G from This is a great product! This battery is a replacement for one I purchased from B&H when I bought a Sony z-1 camera about 11 years ago. First let me say that the battery I purchased with the camera was suggested by the salesman at B&H as being much Better than the smaller Sony OEM battery. Boy, he was correct!! The new Anton Bauer battery was in stock and arrived on time. I charged it up in the stock Sony Charger and it works with the display also working. I ran it the next day for like six hours and it still had power left. The price is fair and I'd buy it again. Now, let's see if I get 11 years out of it. (grin). Rated 1 out of 5 by Cary from Not a good Anton Bauer product I bought this battery since the price was low in spite of the fact it had no reviews. But assumed Anton Bauer batteries would be a good safe bet. Big mistake. I have two other brands of NP batteries with the same/similar capacity. The other two brands can guarantee 300 plus minutes of run time on my Sony camera. This one struggles to make it to 180 minutes. Rated 1 out of 5 by leonard m. from hit or miss I have bought and returned and bought again a few of these. They are hit or miss. Charging them on my Sony charger sometime they charge and stop when they are full, and sometimes they never seem to reach full. Not sure if it's a bad communication with the Sony charger, or a problem with these batteries, but I'm just going to stick to the Sony batteries from now on. Rated 1 out of 5 by Ruben P. from Don't recommend I bought two batteries during a sale on B&H and unfortunactly they don't hold much of the energy as other batteries do on the same device. Rated 1 out of 5 by Derek from Not recommendable. Not recommendable. The load does not last very long. A loss of money.